A US college student has built an affordable 3D Printer, that costs about one third of the conventional 3D Printer. Shai Schechter, from Purchase College, State University of New York, has developed an affordable 3D printer called the Deltaprintr. At $475, the new printer costs less than one third of the traditional 3D printers. Schechter approached his college professor about building a new cost effect 3D printer that uses plastic instead. 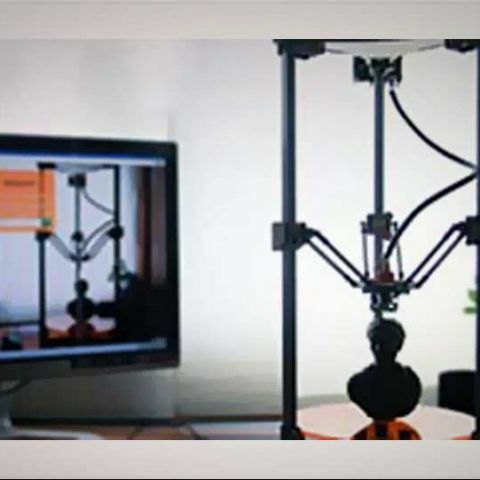 He with his three friends launched a kickstarter campaign to bring the low cost 3D printer for the masses. "We have a laser- and powder-based 3D printer at school, but it costs about $500 for a bucket of powder and that only lasts for about one or two prints," Schechter said. "It's never used because it is so expensive and classes weren’t offered that much in the curriculum." "MakerBot uses belts to move the print head, but ours uses a fishing line," Schechter said. "With the fishing line, you can expand it to make it taller if you want by changing the aluminum rods. 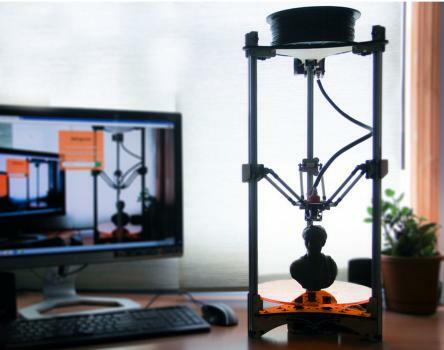 It allows it to go faster than the MakerBot and is more accurate," Schechter added. A MakerBot 3D printer costs approx $2,000, while a Deltraprintr costs: $475 unassembled or $685 assembled for the large size (2 feet high) only. The Deltaprintr is available in extra large (2.5 feet) that has double the printing capacity, six more inches in height and two more inches in diameter, for $705. The Deltaprintr design doesn't require many parts so the savings are passed on to the customers. Schechter added, "We want it to have a place in education, but it's still for the everyday user. We have a lot of ideas that we plan to execute in the next year to make the Deltaprintr even better and lower the cost even more". Help me select a new printer for my house!